I heard about this yesterday, at first I don't believe but when I search about this on youtube I already believed and amazed. 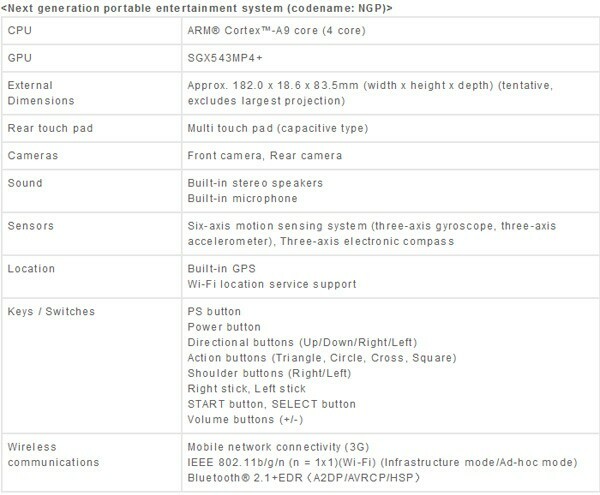 I thought that Sony will just stop on the Sony PSP GO but they made the Next Generation Portable(NGP). I think this will be a really good thing for gadget lovers. When I see the appearance its kinda weird because it has 2 analog. but the thing that makes this gadget cool is the CPU and the multi touch pad. The CPU is ARM® Cortex™-A9 core (4 core) and that is awesome for a portable gadget like this. I still don't know when will it be release.